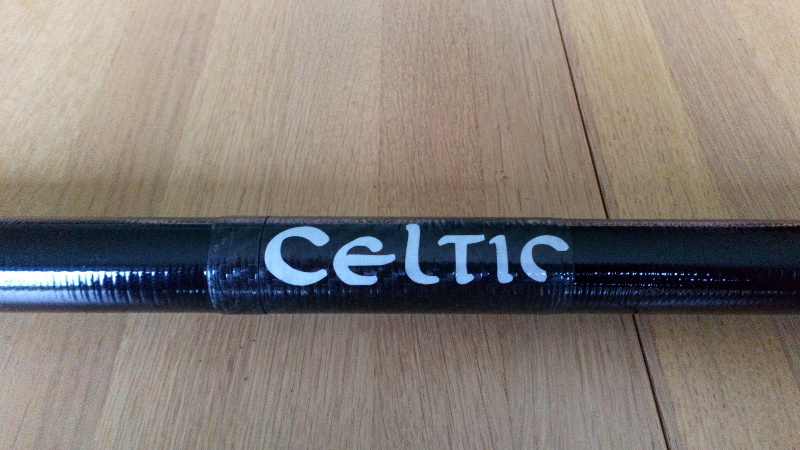 For sale a right hand Celtic split paddle shaft for a 4-piece paddle. It makes a 220cm paddle with right hand 0 or 60 degree feather. 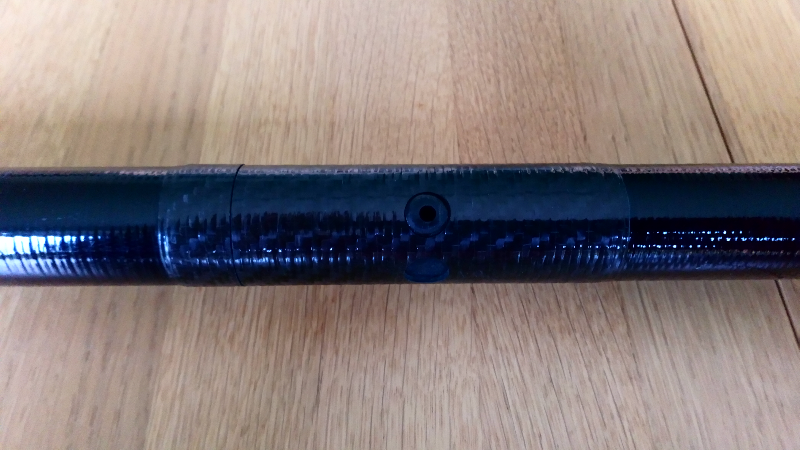 The shaft is glass composite with carbon sections at the three joints and is the standard 29mm diameter. It was bought last year but has hardly been used and looks new. All the joints are padlock and the key is supplied. This item is currently £100 from Celtic so I'd accept £50 posted or £45 collected from the Wirral (or possibly Anglesey on a date to be agreed). 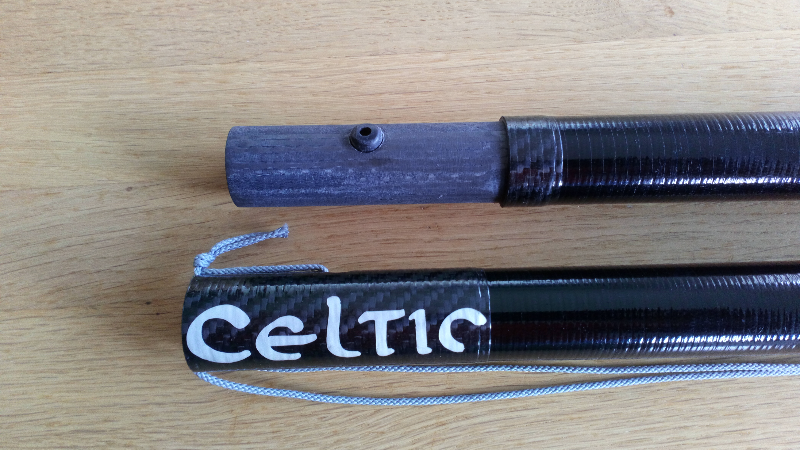 Ideal if you have a damaged shaft and need a replacement or if you go on the Celtic website and order a set of SF Polymer blades you'd effectively have a new 4-piece paddle for approx. 2/3 of the price of a new set (the complete 4-piece paddle is £155 on their website). 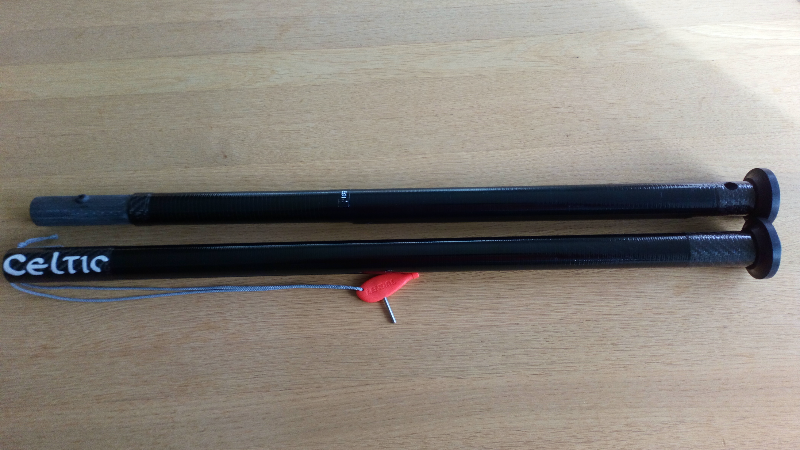 Hi, sorry Steve but I ended up buying a set of second hand Lendal blades so keeping as a spare set.